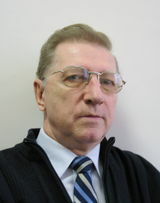 Graduate of Moscow Engineering Physics Institute (MEPhI), Dr Popov obtained his Candidate of Sciences degree from Russian Technological Institute in 1975. In 1987, he received the Doctor of Sciences degree in Geophysics from the Institute of Physics of the Earth, Russian Academy of Sciences. Dr Popov’s fields of expertise include basic and applied geothermics, petrophysics and thermal methods of enhanced oil recovery. He has led and participated in a number of national and international projects on development of advanced experimental methods and equipment in geothermics and thermal petrophysics, experimental investigations of geothermal parameters in super-deep and deep continental wells (USSR, Germany, Russia, USA, Mexico), thermal methods of enhanced oil recovery, basin and petroleum system modeling, to name just a few. His research career features senior research, advisory and management positions at the Research Laboratory of Geothermic Problems of the Russian State Geological Prospecting University (RSGPU), the Schlumberger Moscow Research Center, the International Association of Seismology and Physics of the Earth’s Interior (IASPEI), the E.ON Energy Research Center among others. In 2001, Dr Popov was elected a full member of the Russian Academy of Natural Sciences. He was awarded the title of Honored Scientist of the Russian Federation in 2009. Dr Popov authored more than 200 articles, 45 patents and invention certificates. Apart from being a well-established scholar in the field of geophysics, Dr Popov has considerable teaching and student supervising experience. Beginning as Assistant Professor at RSGPU in 1976, Dr Popov went all the way up to Full Professor in 1987, and continues teaching actively. He developed a number of courses in the areas of applied geothermics and petrophysics. In 1994-2014 Dr Popov gave lectures in many universities and research centers abroad, including Universities in Berlin, Aachen, Karlsruhe, Muenchen, Freiberg, Kiel in Germany, Ann-Arbor in USA, Adelaida in Australia, Research centers GFZ-Potsdam, USGS, Geoscience Australia, SKK in Japan, etc.